INEC Chairman, Professor Mahmood Yakubu, made the announcement at today’s meeting with Resident Electoral Commissioners (REC) in Abuja, Nigeria’s capital. Naija News reports that the electoral umpire extended the deadline from Friday, February 8 to Monday, February 11, 2019. The development, this online news platform understands will include Saturday and Sunday from 9 am to 6 pm. 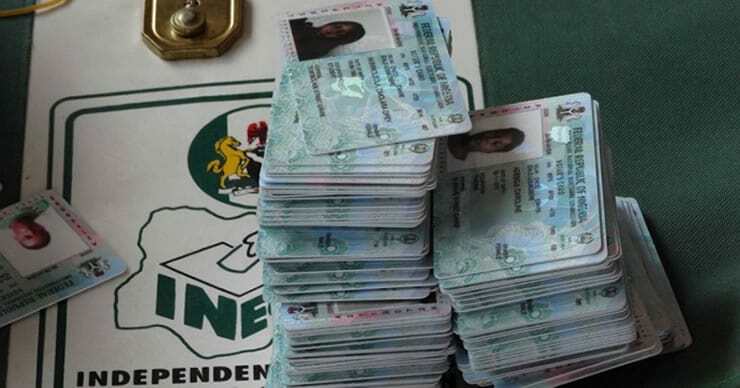 Meanwhile, Naija News reports that this is coming after the Peoples Democratic Party (PDP), Nigeria’s main opposition party, had urged INEC to extend the deadline for the collection of PVCs by three days. PDP had said in a statement issued by its National Publicity Secretary, Mr Kola Ologbondiyan on Wednesday that the demand was predicated on reports across the country that some compromised INEC officials at the collection centres were deliberately refusing to issue the PVCs to voters.